We offered a mechanism on how to import a remote machine’s Module profile as mentioned here and here. The import can be extremely useful when you need to work on a script that runs on a remote server. 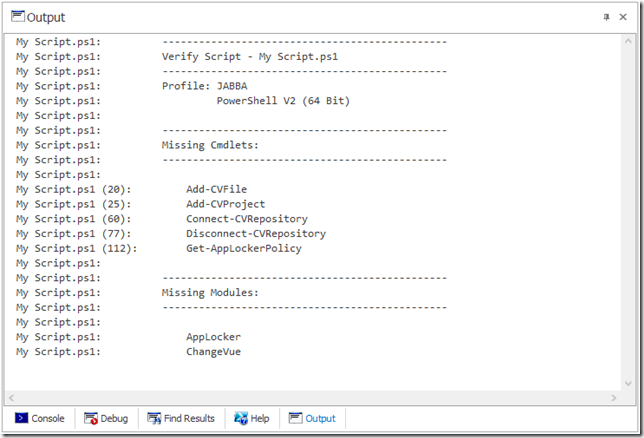 PowerShell Studio 2014 introduces a new feature that lets you verify that your script will run on the remote machine by comparing the cmdlets and modules used in the script with those available on the remote machine. 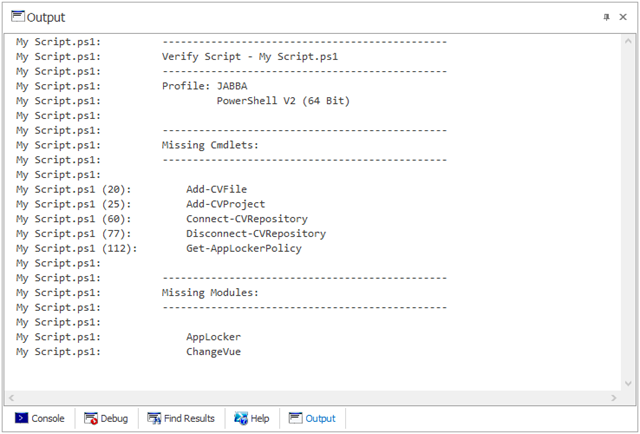 The Verify Script command will then produce a report listing all the missing modules and cmdlets on the selected machine.